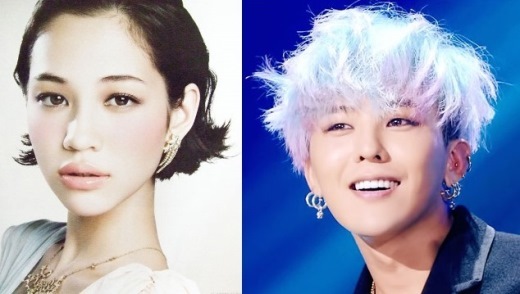 Big Bang G-Dragon And Kiko Mizuhara Dating: The first day of the new year, the relationship between the guy G-Dragon who led the Big Bang and beautiful model Kiko attracted special attention of the fans. Aug-2010, G-Dragon dating rumors with Kiko. Accordingly, the couple began to have feelings from the Big Bang “Attack” the Japanese market. August / 2011, this story is heated when a series of images G-Dragon going out with Kiko suddenly appeared on the network. However, this relationship has never been confirmed because the two main characters are chosen to remain silent. Recently, the fans seem to continue to add new evidence. 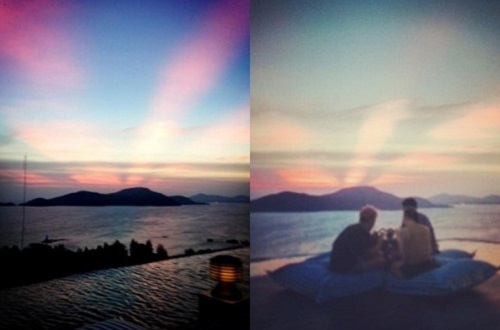 A photo 3 of the beach is said to be G-Dragon and Kiko is being distributed on the online community in Korea. In addition to the shape of the characters in the picture is very similar to G-Dragon and Kiko the context of this picture completely coincide with the images that led the Big Bang posted in Christmas. Earlier, Harry also posted a photo that you are in Phuket (Thailand). In addition, a number of other sources also said last time, Kiko Mizuhara was on a flight to Sri Panwa resort in Phuket. Born in 1990, Kiko Mizuhara brought 2 bloodstream U.S. – South. This beautiful girl is one of the famous young models in Japan. Kiko is a girl plays Midori in the film Norwegian Wood (2010), directed by Tran Anh Hung. Is Hwayoung Cause Bad Attitude on T-ara Jiyeon?